By Henry M. Paulson, Jr.
There’s an old adage that says if you’re not leading the change, you’re not actually leading. Indeed, these words rang true this week through many examples I saw where “leading the change” on challenging issues can have profound and positive impacts here in the United States and around the world. This has been a pivotal week for the U.S.-China relationship. 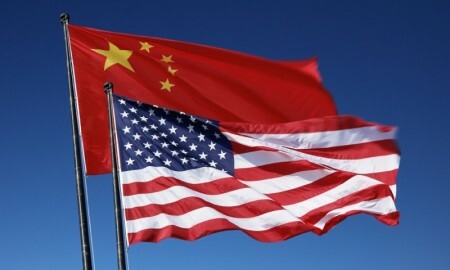 For years I’ve urged the United States and China to take collaborative actions to address issues of global significance, both economic and environmental – and specifically, on the issue of climate change in a New York Times op-ed in June. Doing so, I believe, would demonstrate leadership and prompt global action. During a trip to Beijing this week, I was pleased to see this critically important act of bilateral leadership between our two countries through the historic agreement to reduce carbon emissions. I commend President Obama and President Xi Jinping for working together to address this important challenge. While the emissions reduction targets they set were an important step, even more so, this show of solidarity served to demonstrate a commitment by the world’s largest economies that the challenge of climate change must be addressed on a global scale. My hope is that this prompts other countries to follow suit. I was also pleased to see the President’s leadership at the G-20 Summit in Brisbane today through the U.S. pledge to join other countries through an investment in the Green Climate Fund. This fund is conceived of the same principles that governed the Climate Investment Fund, which I helped to establish as Treasury Secretary. It sought to leverage market forces to incentivize the development and deployment of new clean technologies in China and other developing nations, which will create American jobs and help us deal with the massive risks of climate change. Believing this was in our national interest – both economically and environmentally – President Bush received bipartisan support for his $2 billion commitment to that fund in 2008 – and I urge our lawmakers to support this parallel effort through the Green Climate Fund. For our own part at the Paulson Institute, we seek to lead the change. While in Beijing, the Paulson Institute launched a new US-China CEO Council of 16 visionary CEOs from both countries to join together, roll up their sleeves, and begin to explore opportunities for collaboration to address the challenges of urbanization in China. What’s key about the Council, along with our Sustainable Urbanization and Climate Change & Air Quality programs in China, is that our work aims to be complementary, to help the U.S. and Chinese governments achieve these big goals. As our governments make commitments on carbon emissions peaks and clean technology investments, now they are going to have to figure out how to make good on those commitments. That’s where our Council comes in. We have brought together private sector leaders from both countries with perspectives on the best practices for addressing environmental and urbanization issues. And I’ve learned if you want to get something done, companies move faster than anyone else. I commend these efforts to lead the change on such important global issues. Can Chinese Energy Investment Boost the Rust Belt Economy?